iNautia.com offers you the widest range of boat rentals in the market with a variety of destinations so you can enjoy a different type of holiday. 117 boats in Croatia to rent, with or without a skipper. Select the start date and the duration of the rental in the search box, and choose the boat that best suits your needs. Ketch 22 m from Length 8 m from Places. JEANNEAU CAP CAMARAT 6,5 WA 6.5 m from Length 8 m from Places. 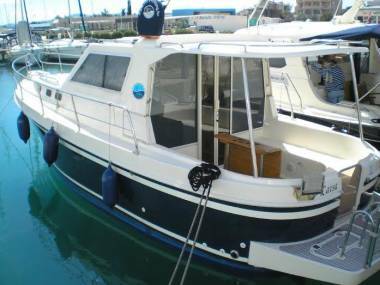 Equipment:BIMINI, FISH-FINDER WITH GPS, CHEMICAL TOILET, RADIO WITH MP3 PLAYER, FRONT SUNPAD, AFT SUNPAD. Description / Motor:Personal and business rentals Corporate events. Ferretti 780 24 m from Length 6 m from Places. Equipment:ACCOMODATION: Master double bed en suite cabin, VIP double bed en suite cabin, 2 Guest twin en suite cabins ? 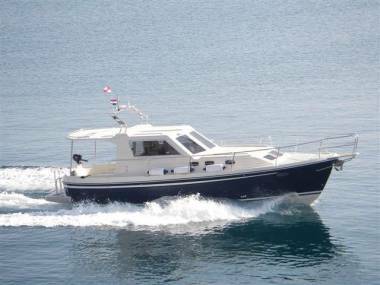 1 cabin convertible into double CAPTAIN & CREW: 4 (captain, chef, hostess, deckhand).